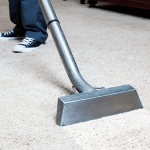 Even with regular vacuuming, a well-stocked cleaning kit and a strict no-shoe rule, dirt and grime will inevitably build up in your carpet over time. Eventually, all carpets start to look a little tired. The solution? Give them a new lease of life with a professional carpet clean. But how much will that set you back? Read on as we discuss how you can get the best deal for your carpet clean. Are any companies recommended by friends or family? Do they have any testimonials, reviews or case studies? What do their services cover? Do they offer any packages that would work for you? The cost of cleaning a 1-bedroom bungalow is going to be much less than a 4-bedroom family home. It also depends on the size of the area you want to be cleaned. Do you have more than one living room that needs tackling? Or is it just a new nursery in need of a deep clean? These are all questions that will factor into your quote so be sure to be aware of everything you need doing beforehand. Old, worn-in stains take more time and effort to remove, which may impact the overall cost. When gathering your quotes, be sure to mention any particularly stubborn stains, whether that’s red wine, paint or ink, that may require a little extra work in order to get an accurate quote. 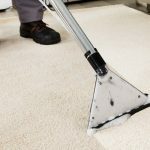 When dealing with an old, tired and potentially stained carpet, a professional deep clean is much more affordable than buying an entirely new carpet. You could save hundreds, even thousands depending on the size of your room, and the results will be astonishingly similar. 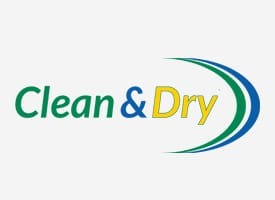 If you’re in need of a professional carpet clean, the team at Clean & Dry Sheffield are here to help. Our expert team offer a range of carpet cleaning packages and services, leaving your home looking as good as new in no time. 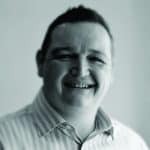 Get in touch with us today for a free, no obligation quote. How to Get Yellow Stains Out of Your Carpet	 Is your muddy bike slowly ruining your carpets and rugs? Upholstery Cleaning Sheffield Review by Mrs Butterworth of Swallownest.